Tanya Wagner won the 2009 CrossFit Games, but she was looking for a different challenge this year. 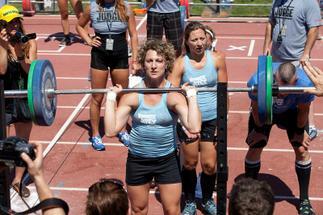 She decided to compete with her affiliate team, CrossFit Apex. This video takes a lot at the 2009 champ's hopes and experience with the 2010 Affiliate Cup. Tanya was very excited going into the first workout. The stadium, TV monitors, and crowds testified to how far her chosen sport had come in just a few short years. Plus, competing as a team would hopefully take some of the individual pressure off of her. "Team" workout, however, is not necessarily another name for an easy workout. The 2009 female champion ended up on the floor after her first team workout in the Affiliate Cup, calling the thruster/pull-up/buddy carry event "a lot harder than we thought." 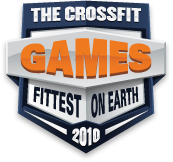 CrossFit Apex went on to take 27th place at the 2010 Affiliate Cup.